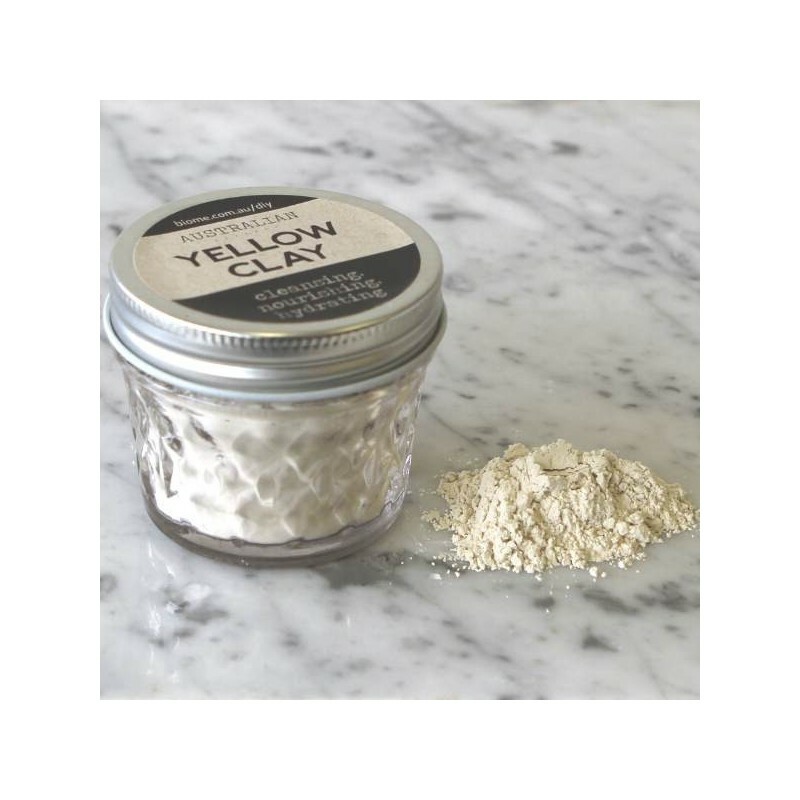 Yellow Australian Clay is great for gently exfoliating and cleansing your skin, toning and strengthening connective tissues, stimulating blood circulation, drawing out toxins and superfluous fat, and hydrating your skin, without leaving it feeling dry or tight. 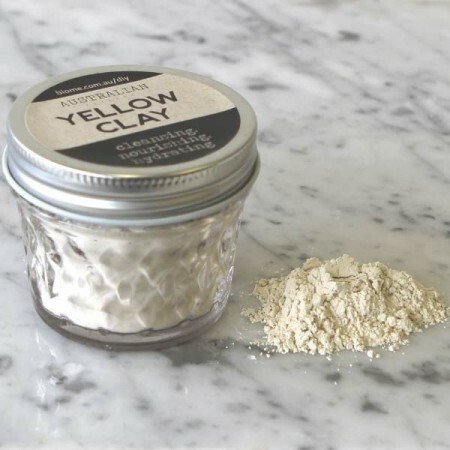 Yellow clay is mild making ideal for all skin types, including dry and sensitive. 50g. Yellow Clay contains Montmorillonite, Quartz, and Anatase. When using yellow clay, add purified water or floral water, mix into a paste and apply to the face or body. Allow to dry, rinse it off, spray with floral water or toner, and use your favourite moisturiser to finish. Note: never use metal when mixing clay as this takes away some of clay's mineral properties. Use glass, plastic or wooden spoons and bowls instead.